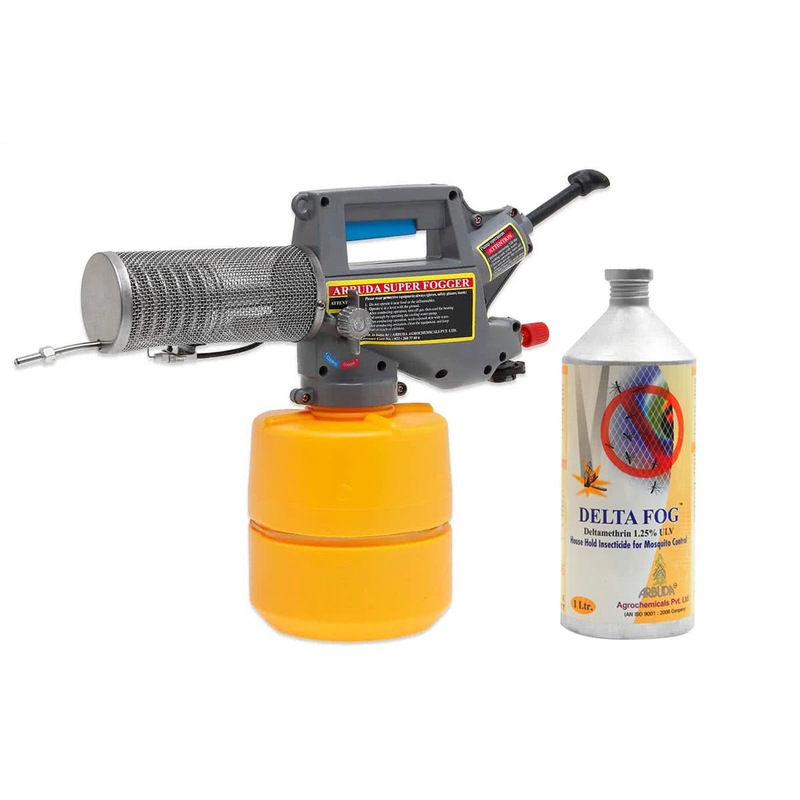 A liquid insecticide, Delta Fog is applied to all plants and crops, indoor and outdoor space through the use of a diesel operated Arbuda fog machine. 10 ml of the pesticide is mixed with 1 litre of diesel and sprayed with the help of a diesel operated Arbuda fog machine. It can be used to disinfect both indoor and outdoor areas. Mosquitoes are vectors of many human diseases like Malaria, Filariasis, Dengue fever, encephalitis etc. To save life of millions of people control of these mosquitoes is very necessary. Deltafog with Arbuda Fog Machine is ideal solution for control of mosquito through chemical method and can be used as space treatment. It offers broad spectrum control of flying insects both outdoors and indoors. It is effective against vectors of human diseases viz. Anopheles, Culex and Aedes. It is safe to human beings and animal as its Acute oral LD50 (rate) > 5000 mg/kg and contains biodegradable synthetic pyrethroid. Deltafog confirms to BIS Specification and WHO specification. 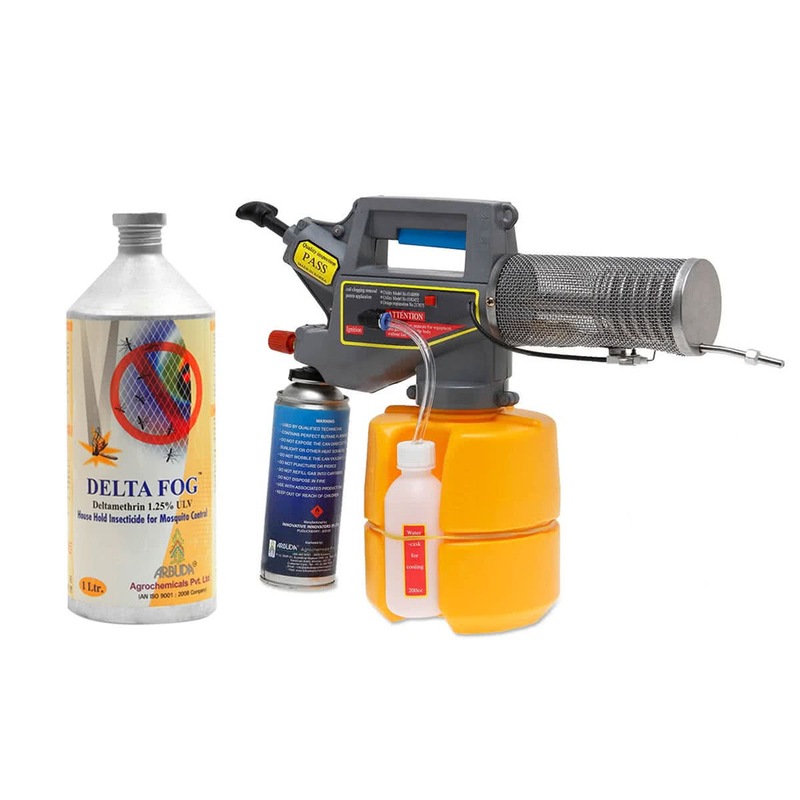 Deltafog can easily dilute in diesel or kerosene for spraying as an Ultra low volume or Thermal fogging. Dilute Deltafog in diesel or kerosene and apply as a thermal fog using Arbuda Power Fogger machine. Normal dilution ratio is 10 ml of Deltafog in 1 litre Diesel / Kerosene. For mosquito control, the spraying should coincide with the peak activities/biting times of the species. Mostly at dusk or night times. Treatment outdoor should not take place during the heat of the day or if it is raining. Do not spray if the wind speed is in excess of 10 km/h. as the spray will be dispersed quickly. For Fly control, spraying should be done in the morning when the flies are at ground level. Spray preferably those areas which are known to be the main focus of nuisance or breeding.